Recently in an effort to mitigate the risk to domestic water services, some municipalities have begun enforcing the maintenance and inspection of Backflow prevention devices. In October, Startec became accredited for backflow prevention / cross connection testing with the City of Calgary in order to ensure our team of everyday mavericks are best able to meet this need. Backflow prevention devices are used to reduce water contamination risks in water systems that have a link between a drinking water supply, and a non-potable water supply. A water system can become contaminated by either “back pressure” or “back siphonage”. A backflow prevention device will prevent either of these occurrences from causing significant damage to a potable water system, which could create a risk to human safety. Back Pressure is known as the reversal of normal flow in a system due to a pressure higher than the supply pressure. This happens when there is an increase in downstream pressure typically caused by pumps, temperature increases in boilers, elevated tanks, or other pressure-producing systems. Back Siphonage is known as the reversal of normal flow in a system caused by a vacuum in the supply piping. This would cause non-potable (or dirty) water to fill a piping system that could be utilized for uses such as drinking water. This can happen if there is an interruption of the water supply due to nearby fire-fighting, line repairs, or breaks in the water supply main lines. A properly sized and selected backflow prevention device will protect against either of these situations from potentially becoming reality. These devices come equipped with internal seals, springs, and moving parts that are subject to wear and fatigue. 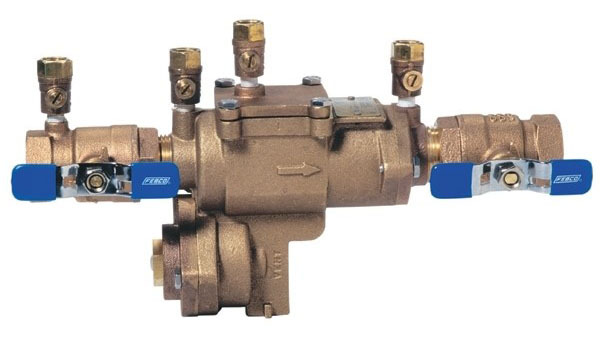 Because of this it is important that all backflow prevention devices be tested regularly to ensure they are functioning properly by an accredited company such as Startec.